This top drawing is for a big commission I am doing. 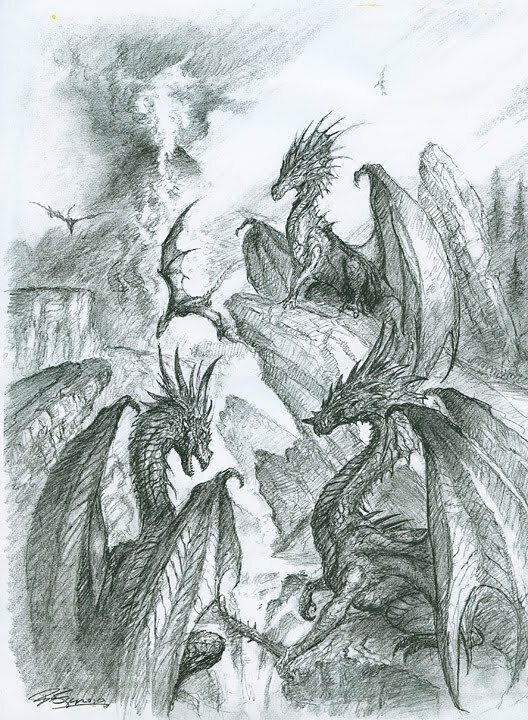 Has to show alot of dragons! It will be large when finished, and will be alot of fun to do. The drawing is 18x24 and the final will be 30x40 inches. 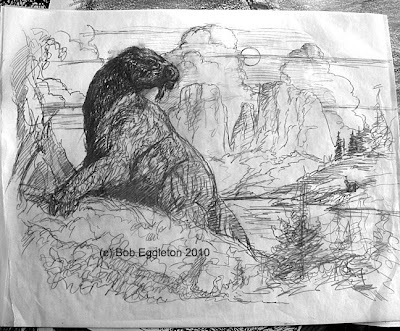 This drawing on tracing paper is done for a book on Ice Age America. This is a sloth in Sedona Arizona about 15,000 years ago. 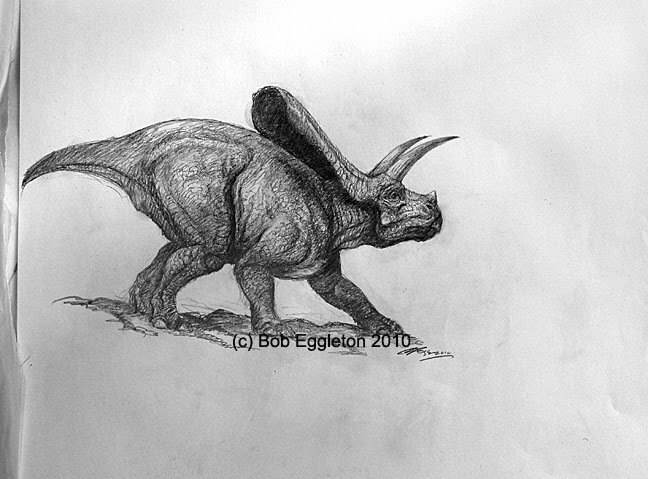 Torosaurs have been making the rounds in terms of science talk lately. It appears they have now supplanted them as what they think was a Triceratops....always changing are those dino people.